The key to Inside Llewyn Davis may be a line repeated twice by its shiftless protagonist: "If it was never new, and it never gets old, then it's a folk song." In the line's first iteration, it reads as little more than stage banter, a slight joke repeated to illicit a chuckle from the Greenwich Village audience. 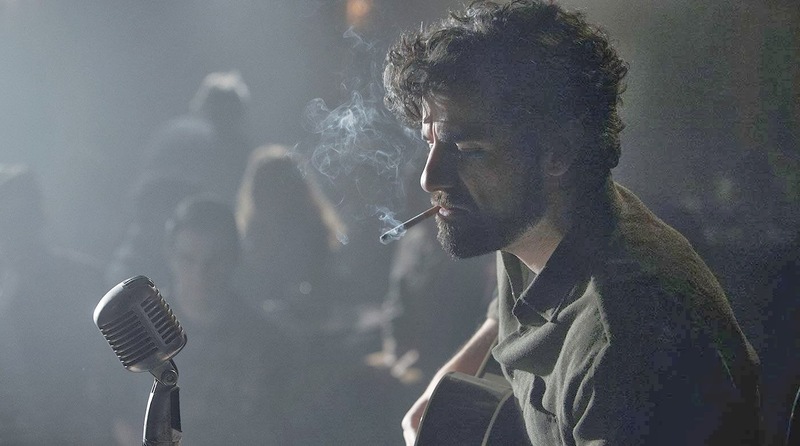 In the second go, when it arrives in a moment of off-putting, cyclical repetition, we find that the meaning has changed, that it has acquired more poignancy in its direct ties not only to the music, but to the life of Llewyn Davis himself. 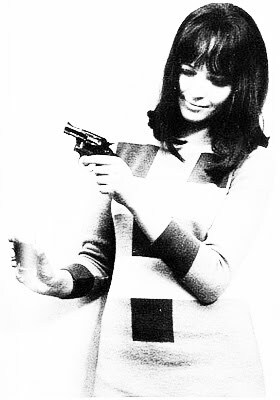 The film is an ouroboros shaped over a span of mere days; a circular, destructive process where exact chronologies become confused and we become convinced of the inevitability of failure. 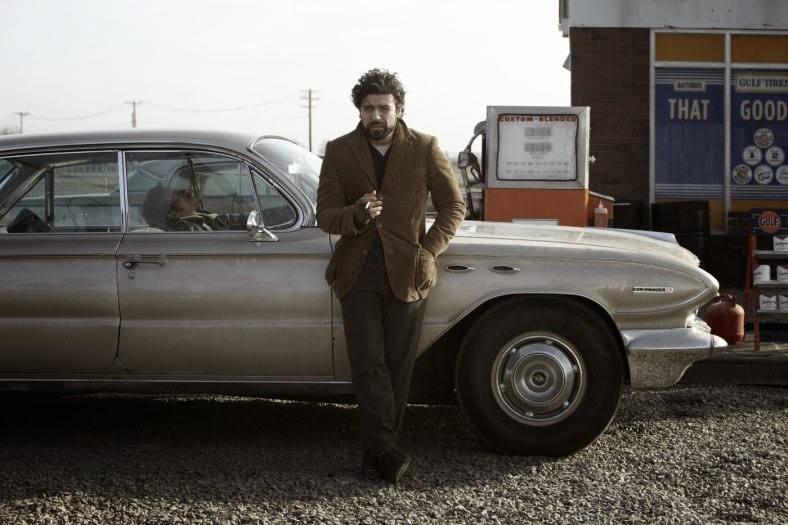 Though the folksy music may offer brief moments of uplift for those so inclined, Inside Llewyn Davis is in keeping with the bleak outlook of the Coen Brothers' last several efforts. Grim and near hopeless to the last, bolstered and enlivened by the strength of Oscar Isaac's performance. 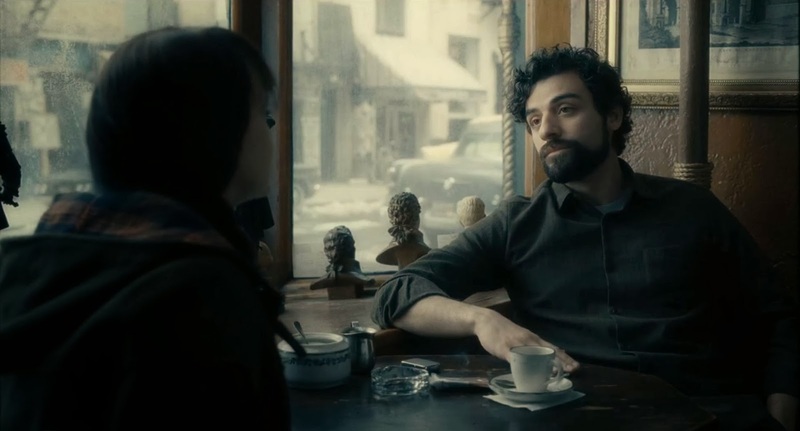 Set during the winter of 1961, the story follows Llewyn (Oscar Isaac) as he begs friends for couches and favors, spreads frustration from nightclub to dinner parties, and eventually takes a short, unpleasant road trip to Chicago and back again. He's a folk singer. A decent one, but far from a great one. This is ultimately his problem: he a man with talent, but not enough. Consequently, he can't catch a break. Small venues will give him a stage, but no one seeks out his album. The thing that could have made him special is gone, and Llewyn's curse is a repetition dependent on a concession he doesn't seem willing to make. So, he cycles through friends, he cycles through mistakes. Everything comes back except the one thing, the one person, that he really needs, and, of course, the Coens support this with a wealth of references to various journeys, mythical and modernist. Though Ulysses is explicitly referenced via a character name, the most direct parallel seems to be Sisyphus. Llewyn keeps pushing the boulder uphill, but never gets anywhere. He's an angry, embittered character, and over the course of the film we watch as he repeatedly lashes out at the people he's forced to rely on. Llewyn's unpleasantness may make the film slightly less than palatable for many audiences, and while I'd agree with retorts citing a richness of content and imagery, this is far from a film for everybody. Footholds and sparkling bits of humor can be found in Llewyn's wanderings as he stumbles from the irritable Jean (Carey Mulligan) and her twinkly-eyed partner Jim (Justin Timberlake), shares a car with an enigmatic jazz man (John Goodman) and his near-silent 'valet' (Garret Hedlund), and crashes a couple intellectual parties. There are brief laughs to be had, but each of them is complicated by a curious weight. Sometimes the hurtful punchlines come not long after, sometimes details come to light much much later. Everything in Llewyn's life, though, seems as tainted and infested as Jean notes when she calls him "King Midas's idiot brother." She means it, and the Coens commit to casting Llewyn as a disaster-prone loser, the sort who seems to sabotage himself at every turn, and who can't seem to make the right decision to save his life. 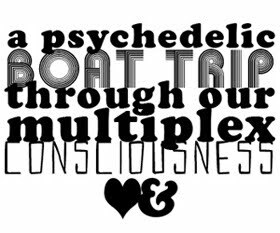 A character like that, when set adrift in an otherwise romantic landscape (he seems to pass through album covers on the regular), makes for an unpredictable, strange, surreal little cinematic experience.